Interested visitors of the largest Greek island would everywhere find shelves full of spices and all sorts of products made from extra virgin olive oil. These days the packaging is getting more attractive and professional (thus giving the impression of a reliable choice). Quite understandably, an ordinary customer with little awareness and no education about the natural health and food industry might easily follow a false scent in the midst of fragrant offerings. After many years of learning one might only come to realise and truly understand the context of actual price, quality and related factors of essential oils when acquiring some personal experiences in terms of the habitual natural environment of the plants, their biological characteristics, specific needs of their growth and harvest, related activities, distillation process, packaging, sales and all the challenges that come with these. I wrote this article for Aromatika Magazine, an online publication in Hungary to support holistic living, the practice and professional education of aromatherapy, phytotherapy, naturopathy and related subjects. My writing was published in the issue 2015/2 and I am mostly grateful to the editor-in-chief Gergely Hollódi for his long-time encouragement as well as patience with my first piece of work for this beautifully constructed aromatherapy periodical. Hope you enjoy the English version of my article in this post. 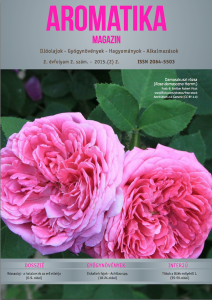 The original copy of the electronic magazine in Hungarian is available for download from the website of Aromatika Magazine. As far as I remember I started using essential oils when I was about 20. I would put some citrus oil in an oil burner to scent my apartment with a fresh lemon breeze, or create a warm and cheerful atmosphere with orange oil at winter time. I thoroughly enjoyed the ambiance around the rooms and was indulged by the magic surrounded me and my companion. The oils undoubtedly found their permanent place in my life, however, it took me another 20 years to realise my true passion about the uplifting and healing properties of essential oils and do something about that. In spring 2009, my journey to discover the amazingly rich, colourful and complex world of true high-quality essential oils and their applications started by the guidance of a knowledgeable naturopath and holistic healer in Budapest. In the autumn of the same year he advised me to spend some time in Crete and I ended up spending 2 weeks there as part of my healing journey. I returned home fully recharged, with lots of new experiences from my healthy Cretan diet, and eventually with a few small bottles of essential oils assessed and certified organic by the organization called ICEA. As I had learnt by that time that was important to consider when making a purchase decision. The oils I chose was from a local Cretan company called Bioselect that produces organic cosmetics – not very well known, still can be found in Hungary too. However, they have a product line of 14 essential oils of some classic, as well as unique type of local herbs such as dittany (Origanum dictamnus L.), sage (Salvia officinalis), thyme, bay laurel (Laurus nobilis), juniper and winter savory (Satureja montana L.) only to mention a few of them. 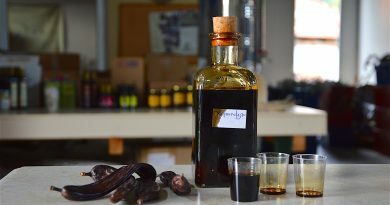 Back then, I thought I had discovered a real aromatic gold mine, and little I knew that there was so much more to find. And I eventually did in the consecutive years during many other alternative holidays I spent in Crete until I moved to there in 2013 – guided by the desire to start and create a new life(style). Life is abundant on the wonderful lands of Crete. If your memories of Crete recall Zorba, Zeus and the barren mountains, you might be just as close and very far indeed from the truth about meaningfully describing the birthplace of the Gods it deserves. The four seasons in Crete merges into two almost, while changes of the landscape are tangible day by day. Summer tourists may consider themselves being lucky, however, they miss the vibrant colours of the rest of the year, and are only here to witness the most pale shades of terrain colours during the warmest season. Certainly, if one is adventurous and fuelled by curiosity, eagle eyes would notice the wonders hidden amongst the mountain rocks in purplish, bluish or mallow colours. Splendid Cretan wild oregano (Origanum onites), thyme (Thymus capitatus L.) and sage (Salvia triloba) are all around. A sophisticated nose would also smell them blind from their extremely high carvacrol or 1.8-cineol content. There is plenty to explore by simply walking near the beaches. 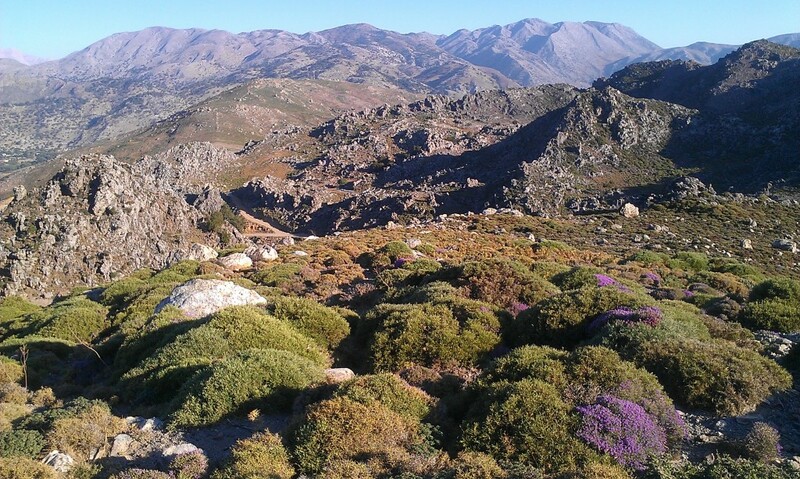 For instance, if you happen to make a stop just a few kilometers west of Heraklion city, the landscape is breathtaking and meanwhile a sweet smelling plant with hairy leaves and crumpled petals, pink to purple flowers invites to walk further down the hills. Unnoticeably you run into this manifold shrubby plant called Cretan Rock Rose (Cistus creticus L.) often referred to as Cistus incanus as well), which is extremely rich in polyphenols, supports the immune system and has other healing properties. At the same time, the resin collected from the furry leaves is one of the most sought-after components of the perfume industry. The island is also home to winter savory (Satureja thymbra), and its characteristics and uses were described by Dioskourides (a Greek physician, pharmacologist and botanist from the first century AD) as similar to thyme. It is remarkable antiseptic, antibacterial, excellent in infectious or fungal (skin) disease treatments. It stimulates the immune system, and worth highlighting its positive effects on the digestive and urinary system amongst its diverse uses. My introduction blocks meant to offer only a spontaneous teaser from the boundless promise of the prolific Cretan aromatic life. 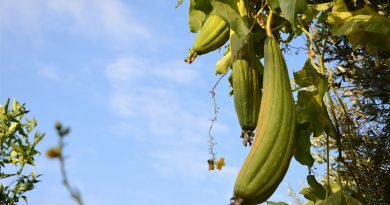 The incredible richness of the island delights both amateur and expert practitioners of botany, herbalism, aromatherapy and other related areas. As for me, shortly after my arrival to Crete, with just a few days delay due to having to enjoy the sea first, I headed off to visit the higher regions in Sfakia in the south. 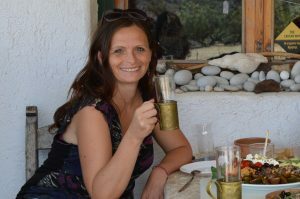 I went to find the small mountain village Kallikratis to meet Janina Sorensen, a Berlin-born Danish herbalist and aromatherapist, and her partner Babis Psaroudakis who is a polymath and world adventurer born in Crete. 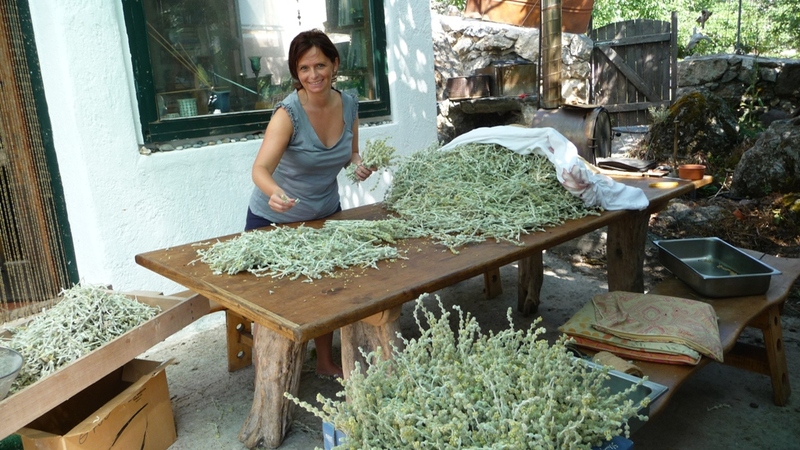 They started to wildcraft and distill aromatic plants in 1994 and founded Wild Herbs of Crete. 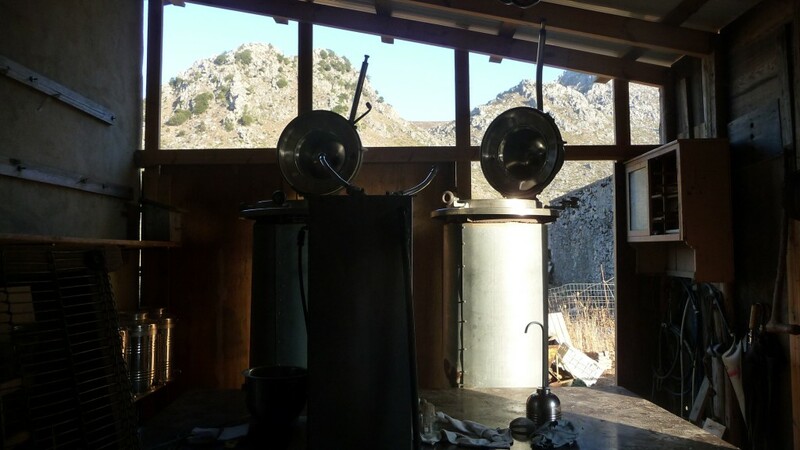 As in the name, they collect local wild herbs – with special care and ethics – and produce essential oils in their own distillery. Even a short introduction on their magnificent wildcrafted essential oils would claim a separate article (you can now read an interview with Janina Sorensen here), so here I would just mention one of the real specialties with great importance. Vitex agnus castus or as often referred to it Chastetree fruits or Monkspepper promotes hormonal balancing and especially exerts the female hormonal system. Janina has years of work and research complete with an MSc thesis, in addition to thousands of women reporting the incredible support to female health and energy by using vitex either as a tincture or an essential oil. Just as vitex agnus castus, with which Janina and Babis were the first ones worldwide to distill ever, all of the their twelve essential oils are of the highest quality with characteristics that make them each a true masterpiece. It feels like the exotic wild Cretan flora is released from the casket once you take a sniff straight from these tiny EO bottles. A completely different life story and concept, but no one bit less fascinating, illuminating and inspiring is that of an English couple who became unhappy with the rat race of modern city life and decided to leave their flourishing IT business environment behind. They moved to Crete in order to start a new life in the late nineties and ended up having a unique organic lavender farm some years later. Gill Leonard and her husband Derek W Pearce became proud and tireless farmers following the principles of a Zen master farmer Masanobu Fukuoka. They grow lavender without pesticides and herbicides, they approach the field with their heart and soul instead, and watch the soil and the plants every day to learn even from the vibration of the plants as a kind of feedback formed naturally. The lavender lady, as Gill is often called, is aware of each and every bush in the farm like a loving mother to her children. She often looks at large-scale producers with a critical eye saying there is a lot to lose energetically in standardization for both the plant and producer her or himself. 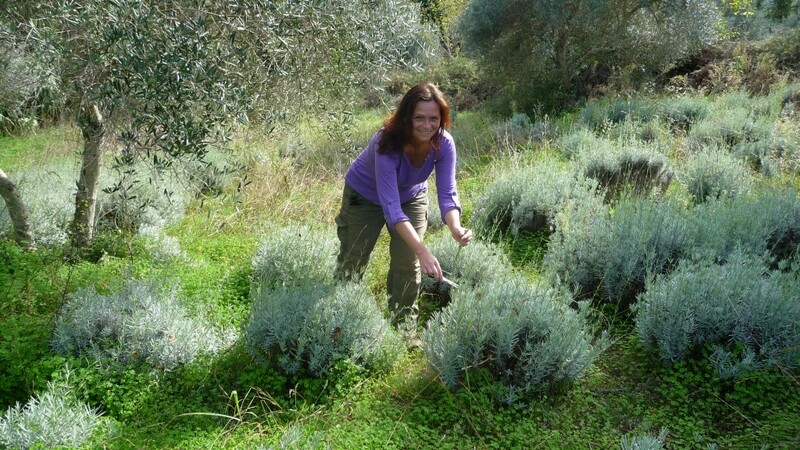 The farm to ‘The Lavender Way‘ is located in north Crete close to Lake Kournas where they grow mainly English lavender (Lavandula angustifolia) and wild lavender (Lavandula spica syn. Latifolia) types, as well as some other species. Their essential oils are certified organic as well as the hydrosol produced during the distillation. My personal favorite is the lavandula spica oil with its high 1.8-cineol content and genuine spicy aroma. Just as the angustifolia water, it is a universal item in my household (and in my handbag). I use it for cleanup, bodycare, treatment of wounds and skin irritation, relaxation, purifying the air, making a massage or simply to feel good. 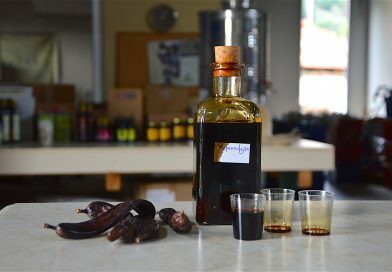 The Cretan soil and sunshine, and overall the special microclimate of the island itself results in an extremely diverse flora with unique characteristics to provide an unforgettable experience with lots of exciting adventures for a lifetime to any aromatherapy enthusiasts.